Intel believes that we will see Ultrabook prices as low as $699 this summer as a slew of new products are expected to lower prices across the board. 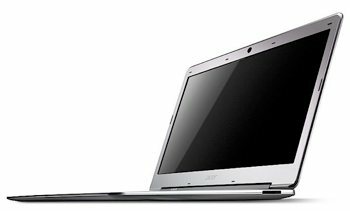 In total, the chip giant claims there are 75 new Ultrabooks currently in development that will join the 21 existing models already available for purchase. General Manager for Intel’s PC Client Group Kirk Skaugen told PC World that prices will dip below $700 in time for back-to-school sales, or roughly about $100 cheaper than existing entry-level models sell for today. Furthermore, Skaugen said that select Ultrabooks will feature touchscreens and convertible displays to accompany Windows 8. The Lenovo Yoga hybrid we saw at the 2012 CES is a perfect example of this. Intel introduced the Ultrabook initiative last May with the goal of creating super thin notebooks that feature extended battery life and increased speeds thanks to solid state drives. The company has invested $300 million with manufacturers to get the ball rolling in an obvious attempt to compete with Apple’s MacBook Air. Furthermore, the chip giant has launched a “multi-hundred million dollar” ad campaign that includes television and Internet spots. There will also be “Ultrabook experience zones” in retail stores that will better highlight the differences between these new ultrathin notebooks and traditional laptops. If you’re in the market for an Ultrabook, it might be best to hold off until models featuring Intel’s upcoming Ivy Bridge processor are unveiled. The new chips feature a 22nm manufacturing process that will allow them to be more powerful while at the same time consuming less power and producing less heat.